First and most importantly, the lovely Kate Hart is heading up an effort to help tornado victims in the south. From the Help Write Now site: Over the past two weeks, record-breaking storms have killed over 300 people and destroyed countless homes, neighborhoods, and towns. Tornadoes tore across the south, fires raged across Texas and Oklahoma, and flooding continues to affect communities all over the country. The writing community has rallied before to raise funds for many worthwhile causes, and we’re hoping you’ll show your support for the areas affected by one of the worst weeks in national weather history. Starting today, you can bid on signed books, manuscript and query critiques, swag, web design, custom art, and more. Please do check it out! On a lighter note, my vacation is coming to a close. We’re headed home today, and while I’m ready to sleep in my own bed again, this trip has been wonderful. My husband’s graduation from Ranger School was amazing. Ft. Benning, Georgia–and the South as a whole–is beautiful. Orlando was fantastic. We met all the Princesses on my daughter’s list, and got to see Hogsmeade. What could be better?! 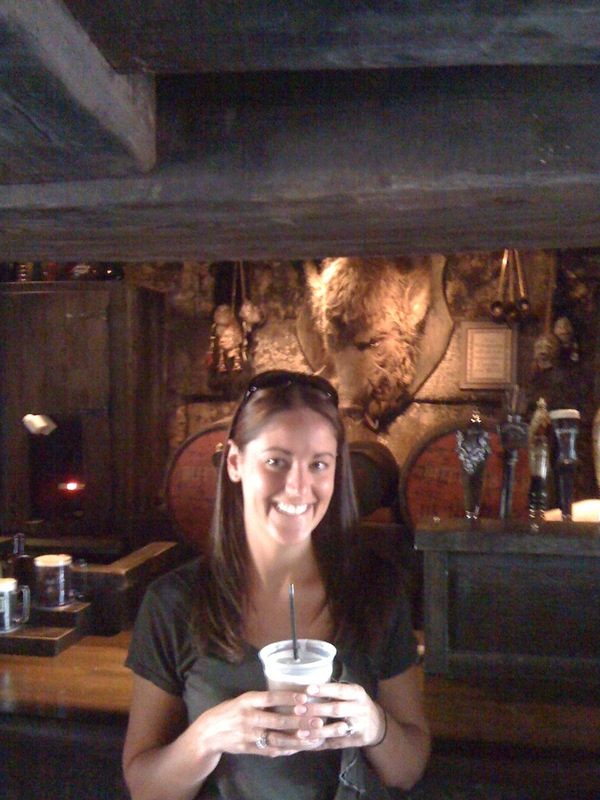 Me at Hog’s Head, with Butter Beer. The Wizarding World of Harry Potter, for the record, is GLORIOUS! On the subject of vacations, I’ve decided to take a brief break from blogging… I will be spending the next few weeks soaking up lots of time with my husband and daughter. And, the rest of May and the first few weeks of June will be spent writing the first draft of Bus WIP!!! While I may post a few times during the next several weeks, I intend to be back in my multiple-posts-a-week routine by mid-June. Until then, Happy Writing/Reading/Blogging to you! May seems to be the month for blogging breaks. Enjoy the real world and the first draft of your new WIP! how awesome about the HP world! Sounds like the perfect family vacay. 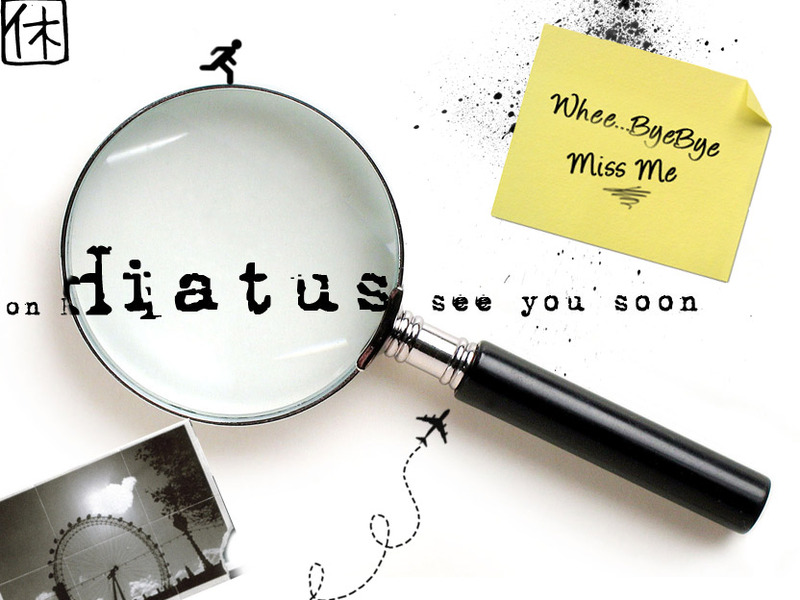 I am also thinking about a hiatus!!! Enjoy yours! It really was a lovely vacation! Enjoy your hiatus if you decide to take one, Katharine! YOU are lovely. Have a great time at HP World. We’ll miss you! Have a fantastic break! I’m gone in June (yay, holidays). See you on the other side! Have a really lovely time with your family. Thanks so much, Amie. I’ll miss your posts in June, but enjoy your holidays! Glad you had fun. Enjoy the time with your family!